You have to look for more than a well-placed billboard or a spot on the local radio station. 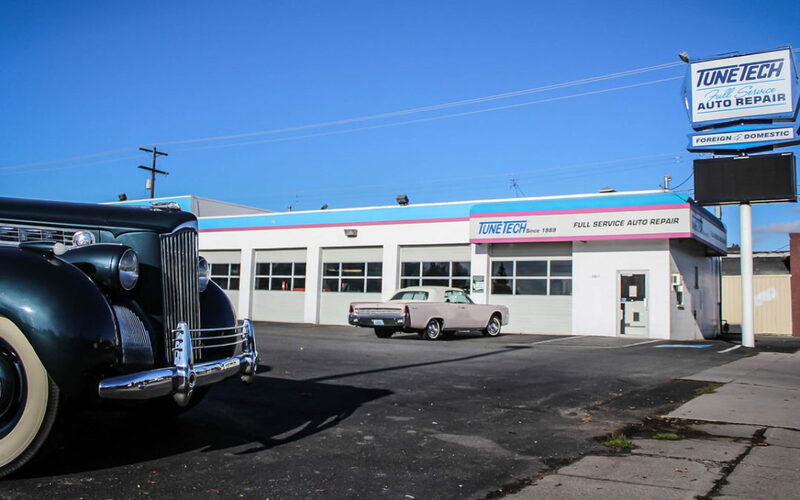 A good auto mechanic shop will have more great qualities inside rather than catchy slogans or a great-looking sign out front. All these things are good ways to reel customers in, but a business that’s in it for the long haul knows that earning and keeping loyal customers is about far more that what meets the eye! Tune Tech auto repair in Spokane, WA will be the first to tell you that advertising is a very important part of our business. However, once those customers are in the door, it’s a more difficult task to make them happy and keep them coming back for all their car repairs and maintenance! Does the shop belong to any automotive associations? Membership in an organization isn’t a prerequisite for a reliable mechanic; however, it is a great sign if they do belong to one. AAA and the Automotive Service Association are two that you can ask about by name. Both of these organizations have a review process to make sure the shops they approve are going to give the kind of service they would be proud of. Is the shop willing to hand over references? You should be able to get the name and phone number of one or two recent customers that the shop has taken care of. Personal references are a great way to get honest opinions about a shop, but remember that these are just that: opinions. To get an accurate picture of the shop, look online at the BBB and review sites where customers speak candidly about their experiences. Will the shop give you a written estimate? Written estimates aren’t that hard to create, whether it’s done by hand the old-fashioned way or if they have a computer system that will do it for them. A written estimate isn’t a contract. After all, things can change once the mechanic gets started on your repair, but it will at least give you a jumping off point to know about what repairs are needed and how much they will cost. Are the shop’s employees willing to communicate? As a valued customer, you should be able to get information from your auto mechanic shop any time you want. If you get the impression that they don’t have time to talk to you or that they just don’t want to, you should probably look for another team that is more willing to answer your questions and speak to your concerns. If you look at these factors and you like what you see, this may be the auto repair shop for you! Proceed with caution when you are making your final decision, because once your repairs are in progress, it’s virtually impossible to change shops if you decide you aren’t happy.